Boatswapping, a new feature on the Boataffair boat-sharing platform, could really help the process go more smoothly. By using their Boat Swapping Community, boat owners have a chance to experience both different kinds of boats – and new locations, without the commitment that comes with a purchase. Boatswapping is a trailblazing concept for the sailing world and follows the home swapping model that’s been made popular by platforms like Love Home Swap. It works by connecting boat owners with each other – so they can get more value from their boat, as well as experience new marinas, new boats – and even new countries. 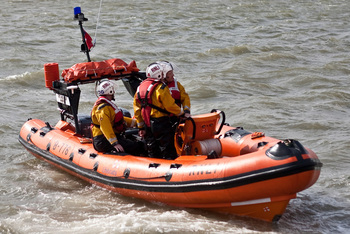 And they don’t have to part with the usual rental costs you’d need to do this – all they need to do is own a boat. Just like homeswapping, it’s the owners (in this case boatowners, not homeowners) who get to decide who they want to swap with, and also things like whether they want to be on board when their ‘swappers’ are there (swaps don’t have to happen at the same time). And the timing is up to them too, they can swap for a day or an entire holiday. One of the things we really like about this at Rightboat is that the Boataffair coin system means boat owners don’t have to swap with each other. So, if you host somebody on your boat, there’s an option to either get hosted in exchange or receive Boataffair coins, which are redeemable against further swaps. Here at Rightboat.com, we love any ideas that help boatowners make the right choice when they’re considering their next boat purchase. So how can you get involved in this swapping scheme? If you sign up on www.boataffair.com in 2018, it’s free and you get an unlimited number of boat swaps. Boataffair already has boat owners in their swapping community in Australia, France, Greece, New Zealand, Spain, Sweden, Switzerland and the US, and it’s gathering momentum. 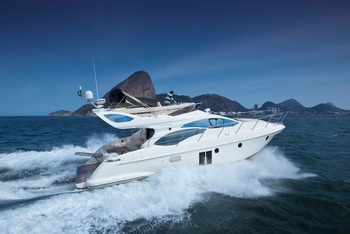 A flybridge yacht with comfortable twin-cabin accommodation for party cruising. Thinking of Buying a RIB? Read This First! 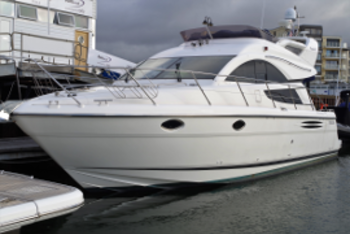 A spacious flybridge cruiser that combines performance and luxury in a family boat.